Biosphere develops certifications to guarantee compliance with the principles of sustainability and continuous improvement, through a private, voluntary and independent certification system. Live new experiences, discover new cultures, try new flavors, immerse yourself in nature and return home with an authentic memory. We have delegations located in 8 countries from all around the world to provide the necessary help and support to companies and tourism destinations. Sustainable tourism courses with professional tutors assigned . Receive tools, material and information necessary to become an expert in the sector. 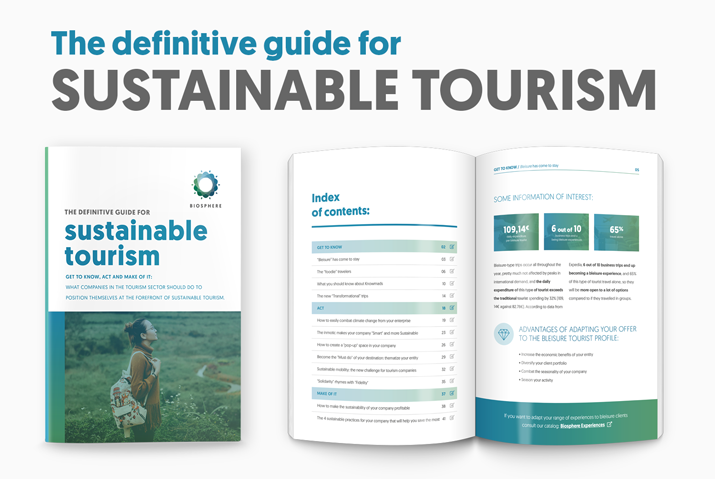 Receive all the necessary tools and support to achieve sustainability and tourism profitability. Meetings and conferences of local and international scope as a fundamental part of the necessary transition towards sustainable tourism. The largest community of sustainable destinations in the world. More than 30 million tourists visit Biosphere Destinations and companies. Skål International and Biosphere Tourism announce their collaboration to position the Skål Sustainable Tourism Awards to the next level. During the last edition of FITUR in Madrid, the CEO of Skål International, Daniela Otero, met with Patricio Azcárate Díaz de Losada, General Manager of Biosphere Tourism, and agreed to work on a joint agenda that benefits both organizations and their respective members. 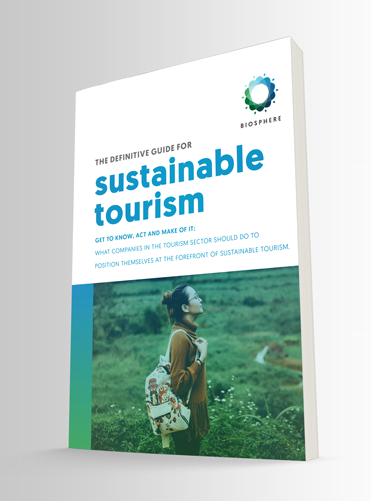 Today, the new project of the Responsible Tourism Institute comes to light: Biosphere Experience, an online platform in which sustainable companies can market their experiences so that responsible tourists can buy them.